Don’t be all fingers and thumbs, let grounding give you a helping hand into wellness. 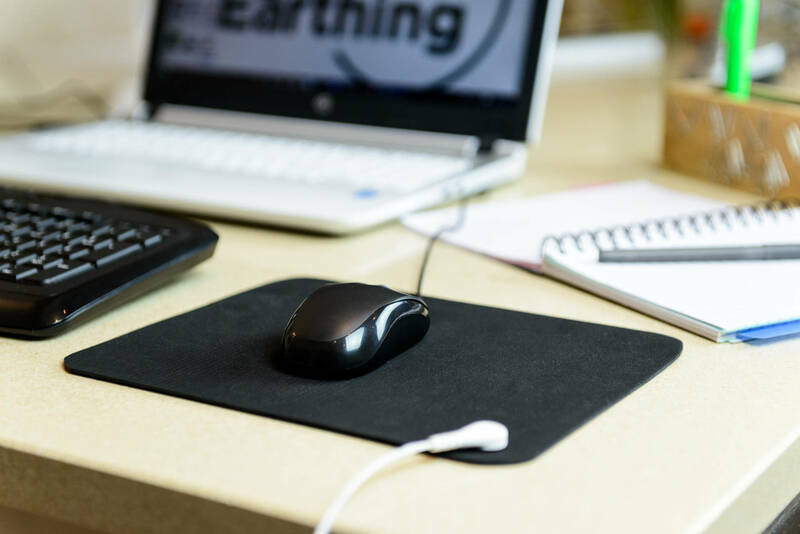 Our Hand/Mouse Mats are an easy way to become earthed and are perfect for those with localised hand/wrist issues such as arthritis. Localised healing – Our Grounded Hand/Mouse Mats are specifically designed to target hand and arm issues such as; Arthritis, Carpel tunnel syndrome, RSI as well as sprains and strains. The solution to daytime and evening grounding, supporting daytime vitality. Small, lightweight and easily stored. Unobtrusive and simple to use, just plug in and you are ready to go. Flexible – Can be used as a Hand mat, Mouse mat, Single foot mat, Back pad or any other way you can think of. The Mat works by inducing a safe and gentle flow of free electrons from the earth into your body. These electrons neutralise any harmful positive electrical charges in the body, charges which can be the cause of many inflammation based health issues and have a detrimental effect on your health and wellbeing. Our Mat is designed to work by itself or in conjunction with other earthing products to promote increased vitality, good health and a general feeling of increased wellness. Our Mats are made of a high quality rubber infused with conductive carbon. This creates a pleasant slightly textured feel which is not only nice to touch but easily cleaned and makes a perfect surface for using computer mice. 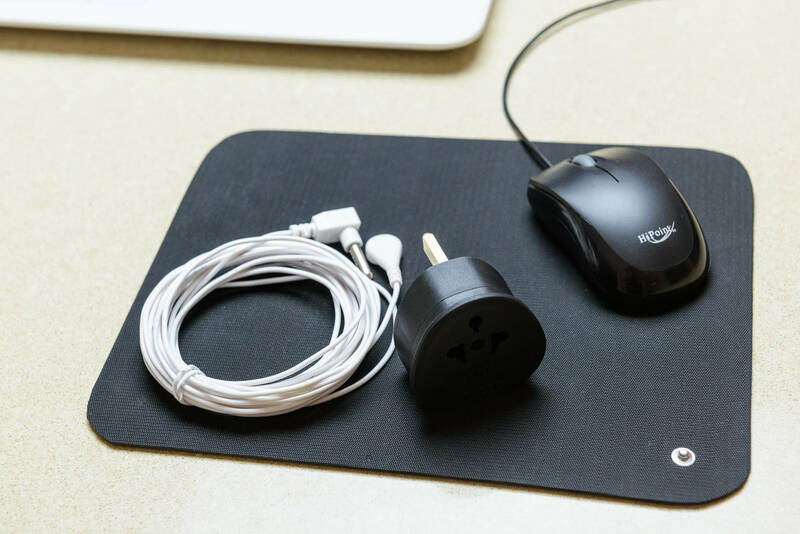 The mat measures 25cm x 20cm and comes complete with a UK Plug as standard as well as all the cables and connections you need to get earthed right away.